soychild-pleased to meet you. : life rushes by, but the red shoes go on. life rushes by, but the red shoes go on. 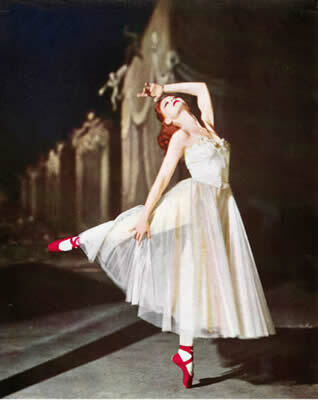 Currently watching The Red Shoes on Youtube while writing this post (look ma, I'm a multi-tasker!) I've always wanted to watch this, ever since it popped up on my recommended list from Netflix- I am completely obsessed with older movies, especially anything about ballet. I think it's been a secret longing of mine to dance ballet, which explains my love of anything ballet. The lines that the dancer makes, the waist cinching tutus- oh man. But this movie has been quite interesting. An aspiring ballet dancer (always aspiring..) lands a role in the production of The Red Shoes, a story about a girl who gets her hands on red shoes and dances beautifully with them on. But the shoes won't come off, and they force the girl to keep dancing gracefully until.. yeah. She dies. 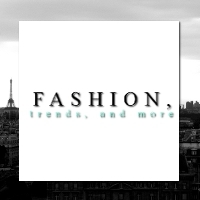 What do the shoes mean to me? I think it's the effect of art on humankind. When we get a glimpse of art, beauty, creativity, we love it and want so much more. 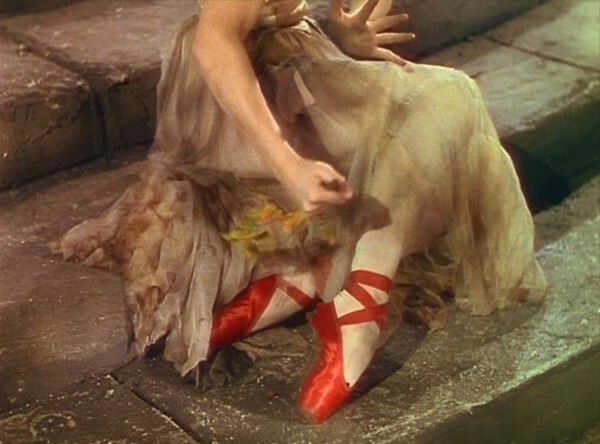 But as the red shoes did, art and the pursuit of creativity can burn us out until it takes our last breath. I didn't mean for this post to sound so depressing but I think we all relate to Moira Shearer's character. Who doesn't love the arts? I find myself constantly racking my brains for new ideas, of something original to present to the world, and when I can't get anything, I feel almost inadequate. CAN I GET AN AMEN?! I guess what I took back is that we have to be careful of what is seemingly unattainable. Creativity is something surreal, if we get too much it harms us more than we will ever know. Keep your feet on the ground as you let your head in the clouds. I do believe that was a Paramore lyric but it makes sense now! Amen! I know what you mean. I've been thinking about creativity a lot recently and the first thing that keeps hitting me is that I have to give so much of myself to be satisfied, so I really can't even fathom having a demanding audience to please. Such is the life of overachievers like us!! Haha I don't know, I think we all have to remind ourselves to just relax- I don't think I've totally relaxed in my 18 years of life!